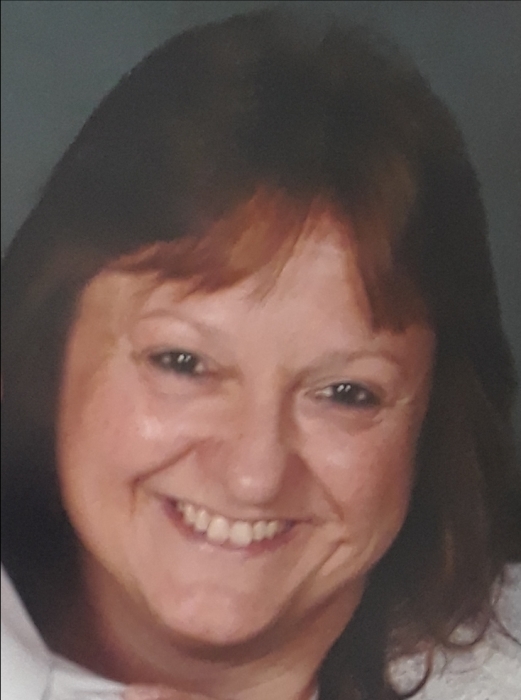 Elsie L. (Bezio) Klepadlo, 52, of Central St., died unexpectedly at home on Wednesday, March 13, 2019. Elsie was born in Waltham, MA on April 26, 1966 the daughter of Robert and Joyce (Ovitt) Bezio. She graduated from Buckland-Shelburne Elementary and Mohawk Trail Regional High School, class of 1984. Elsie was a caring and wonderful person who would help anyone in their time of need. She had true compassion for others and wanted to make things better for all who were troubled. Elsie loved her family and her large extended family. She enjoyed attending concerts with her husband Gene, going to fairs and supporting their son Jeremy in his truck pulling and demo derby events, and just spending time with her family. Elsie was heartbroken on January 25 of this year when her husband Gene passed away. She missed him so much. Elsie herself will be missed by her son Jeremy Klepadlo of Erving, her daughter Kimberly Hathaway of Livermore Falls, ME, her grandchildren D.J., Logan, Anthony and Nondie, her sisters Tex Anne Caswell of Shelburne Falls and Bonnie Powling of Shelburne Falls, her in-laws Stanley and Pauline Klepadlo of Erving, and her many aunts, uncles, cousins, nieces, nephews and friends. In addition to her husband Gene, Elsie was predeceased by a son Donald Hathaway and her mother Joyce Bezio. Calling hours will be held Tuesday, March 19 from 5 to 7 pm at the Smith-Kelleher Funeral Home, 40 Church St., Shelburne Falls. A Liturgy of Christian Burial will be celebrated on Wednesday, March 20 at 10:00 am, at St. Joseph’s Church, 34 Monroe Ave., Shelburne Falls, with Fr. William Lunney, Pastor, as celebrant. Burial will take place later in the spring at Highland Cemetery in Millers Falls, when Elsie and Gene will be buried together on the same day.